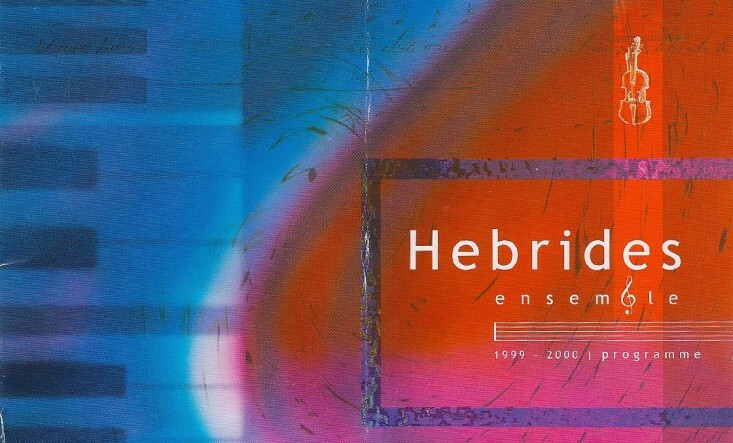 The Hebrides Ensemble is one of the UK’s foremost contemporary music groups, specialising in new, 20th and 21st Century chamber music and opera. In 2000, the Ensemble asked musicians from across Scotland to devise pieces for their new work, the Millennium Songbook. Together with solo soprano Irene Drummond, and supported by the Scottish Arts Council and Sir Alan Peacock, they commissioned Armstrong to write My Grandmother’s Love Letters, from the much-loved Hart Crane poem of the same name. My Grandmother’s Love Letters deals with untouched memories – and draws, like Armstrong’s piece, on ideas of nostalgia and the misty past.